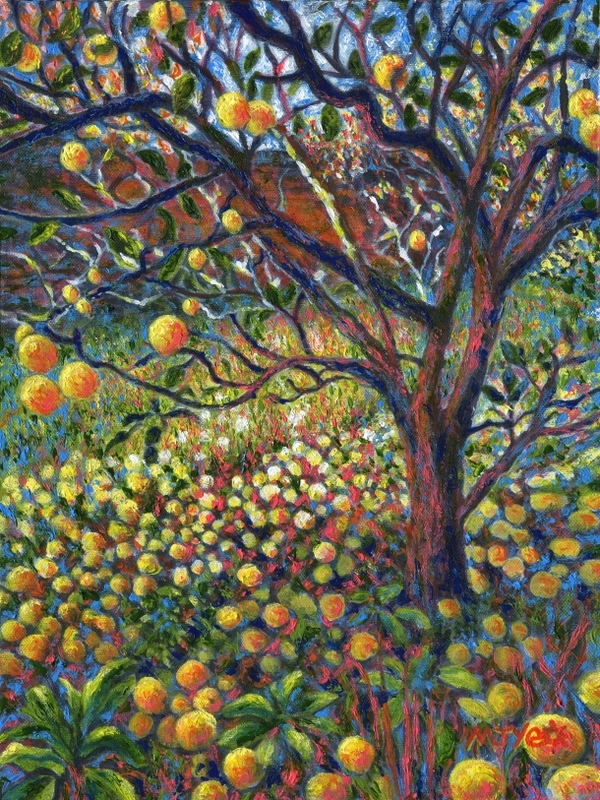 The inspiration for this painting was an apple tree in the National Trust grounds of Croft Castle, Herefordshire. When I took the reference photograph, it was one of those special moments when the sunlight was just right, the colours of the season were interesting, and the composition, with some apples on the tree and some on the ground, was pleasing. It looked like it should be a painting.